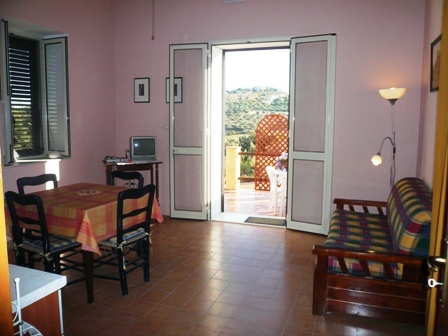 Casale Galati, fully furnished apartment from 1 to 3 bedrooms, close to nature, at Sciacca in Sicily. 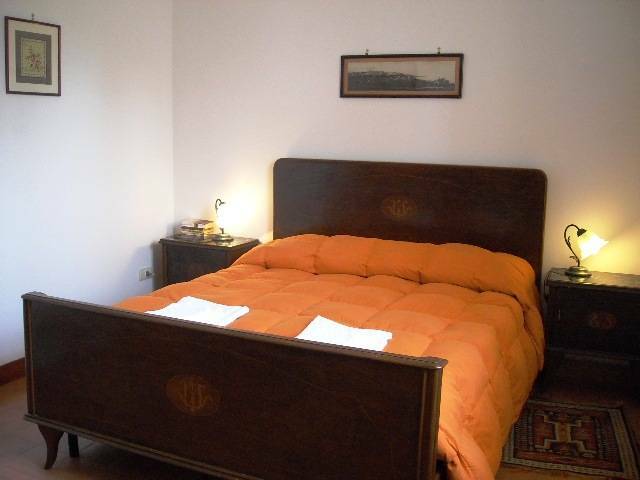 Casale Galati is secluded and extremely quiet and peaceful with stunning views of rolling countryside. The stay at Casale Galati, in addition to its charming and relaxing atmosphere, offers the possibility of several cultural trails around Sicily, being ideally situated for visiting the Greek temples of Agrigento, Selinunte and Segesta. Casale Galati itself is located in a wonderful green environment with numerous paths for strolling and hiking. 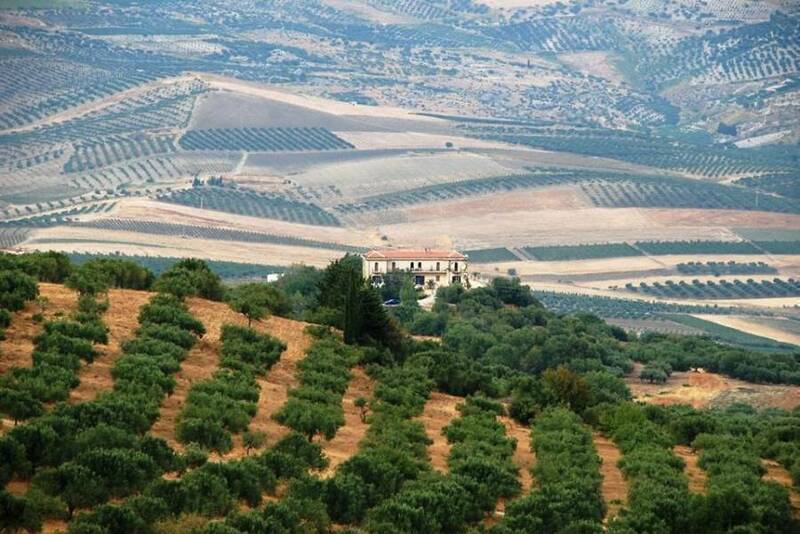 The property covers some 29 acres and is surrounded by olive groves, almond and some pistachio trees. From May to the beginning of September there are fields of tomatoes, if requested we will teach you how to pick the tomatoes, to cook and to preserve a delicious tomato sauce. Galati was a part of the large estate of the noble family Arone di Bertolino. Owned by our family since 1730 under the Kingdom of the Two Sicilies, The house with his position on the hill dominating the vally was bild in the 17th century. The block of building was square, and the house was rising to face north. The view, As far as the eye can see, is superb. 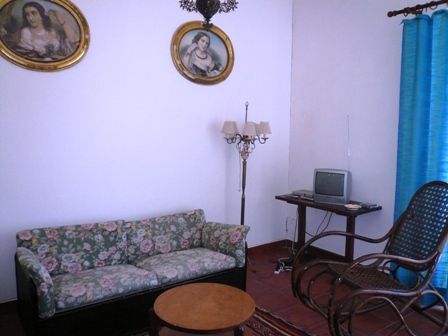 Recently converted from a large old Sicilian farmhouse into self catering apartments. The three apartments on groun floor are bright and airy with all modern amenities. Tramontana sleeps 6+2. Three bedrooms. A double bedroom with large wardrobe, second bedroom with french bed and the third can be fitted with two single beds. Two bathrooms with shower, washbasin, and wc. One of which with bidet. The apartment has its own separate entrance from the large terrace surrounded by flowerbeds with flowers and fresh herbs to add flavor to your dishes. The barbecue masonry, the chairs and table under the patio will allow you to enjoy the cool evenings in summer. In the dinette there is a sofa bed, table with chairs, fridge, microwave, and the kitchen is well stocked with all the utensils/pots and pans a cook may need; as well as with salt, pepper, sugar, plastic wrap, wine glasses, cork screw, tea pot, kettle, roasting pan, paper towels, dishwashing liquid, garbage bags, dish cloths and towels, everything you will need for your vacation. The accommodation is equipped with ceiling fan, Internet Wi Fi, Satellite TV, library. The summer evenings are a perfect temperature for eating outdoors. There is a shady area to protect you from the midday sun and keep it fresh and cool on the terrace. There is an outdoor sink. Apartment Scirocco sleeps 4+2 . Two bedrooms, a double bedroom with fireplace. The second bedroom can be fitted with two single beds or a duble bed. The large window, exposed to the east, overlooking a breathtaking panorama. The bathroom is spacious with shower on the bathtub, sink, bidet and wc. It has separate entrance from the terrace which is equipped with table and garden chairs and barbecue. living area which comprises of a double sofa bed, good-sized table and satellite TV. The kitchen has a fridge, microwave, toaster, coffee maker, pots and pans and kettle. The kitchen is well stocked with all the utensils/pots and pans a cook may need; as well as with salt, pepper, sugar, standard spices, everything you will need for your vacation. 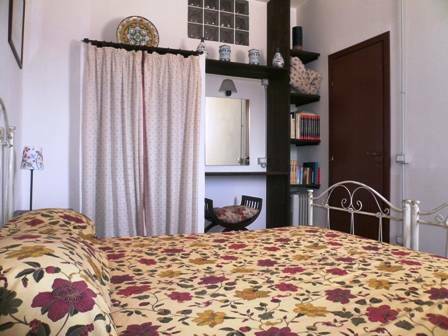 The housing is provided with air conditioning, ceiling fan, Internet Wi Fi, Satellite TV, library. 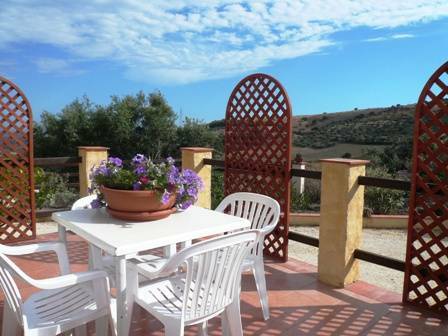 Apartment Maestrale is located on the ground floor of our villa on the hill of San Calogero overlooking Sciacca. We are 5 kilometers from the town center and only 7 kilometers from the sea. Maestrale 45 sqm is ideal for the couple, but is structured so that three to four people can stay comfortably. Accommodation is as follows: a cozy living room decorated with antique prints and a sofa bed. Kitchen with peninsula and high stools. A bedroom with built-in wardrobe, make-up corner, library. A comfortable bathroom with washbasin, bidet, wc and a shower. The housing is provided with air conditioning, ceiling fan, Internet Wi Fi, Sat TV. Our quality self catering accommodation is on the hill of Sciacca, at only 2 Km from the very famous Natural Steam Vents of San Calogero. We are 5 Km out of town and 7 Km from the best beaches of the south west cost of Sicily. Within five minutes drive you will find restaurants, pubs, banks, supermarkets, post office, hairdressers, museum, churches and other visitor attractions. Bus stop right outside our narrow road. The property is gate-accessed, so privacy is assured. August only: three days is the minimum booking period but you may start your stay on any day and do not have to book multiples of a week. Whatever fits with your schedule is welcome. July and first two weeks of September: two days is the minimum booking period. There is no minimun stay for the rest of the year. For one night stay, Easter and Christmas, high season rates apply. 20% of the rent is required to complete the booking (balance due on arrival). There is no security/damage deposit required. deposit no refundable. From Palermo: Take the Motorway A29 Palermo - Mazara del Vallo,( is the first exit from the airport) take direction to Mazzara del Vallo, take the exit for Castelvetrano ( 95 Km ) and follow the directions to Menfi - Sciacca.